You might be interested in how to make a coconut milk smoothie for weight loss, and feel frustrated at previous attempts. ...why some smoothie drinkers lose weight easily, while others stay stuck at a plateau--or even gain weight? Have you felt frustrated with your smoothies, and how they affected (or worse, didn’t affect) your weight? You don’t have to continue in frustration. Or keep wondering what you’re missing. There are a few simple secrets that can make a difference. 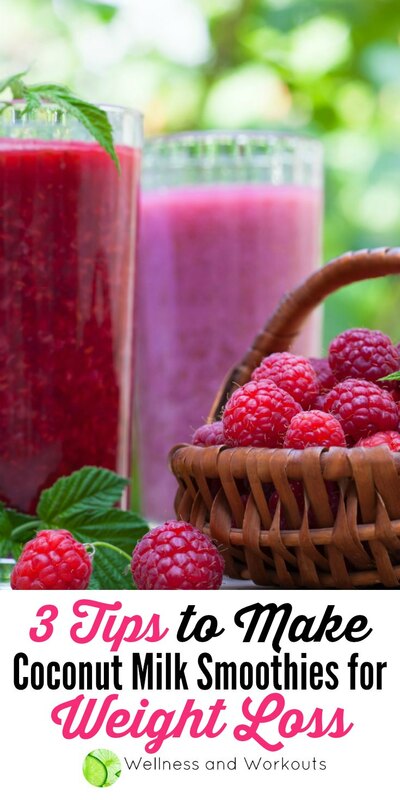 Of course drinking a smoothie is just one piece of what can help with weight loss. But if you're going to drink smoothies, you might as well know how to do it right! Like I said above, there are a few simple secrets that can make a difference in your results. Before I get to the first tip, congratulate yourself for using coconut milk as the base of your smoothie. Because coconut milk contains coconut oil, which is a great ingredient for boosting metabolism. Don't feel like you need to use a low fat version of coconut milk. Regular, full-fat coconut milk is ideal! Tip #1: Make sure you use lower-glycemic ingredients. You can experiment with small portions of lower-sugar apples, too. If you want more sweetness than these fruits give, you can add a little stevia, if you like. FYI, if you hate the taste stevia, I can relate. The first brand of it I tried tasted horrible. Years later, I tried another brand, which I like much better. This is the brand my whole family, kids included, like and use most. I prefer liquid stevia for smoothies. But if using powdered stevia, be sure to read the label carefully. Many brands add fillers that may increase the carbohydrate content of the product. Some brands do offer pure stevia powder. Look for those brands. Coconut Milk Smoothie for Weight Loss Tip #2: Use ingredients that are as natural as possible. Processed ingredients may contain BPS, BPA, and other endocrine disruptors, which may cause you to gain fat. Processed ingredients may cause inflammation, which may prevent fat loss. Processed food ingredients often contain a very long list of ingredients. If you have any food allergies or sensitivities, you may be eating some foods that will cause inflammation in your body without realizing it. Avoid coconut milk and other ingredients that contain Estrogens, which may cause your body to gain or retain fat. Most brands of canned coconut milk contain BPA and preservatives. BPA (bisphenol A) is found in the liners of most canned foods. And even if the can says BPA free, it still may contain BPS (bisphenol S), which is said to be even worse. BPA and BPS both may cause reproductive problems, developmental problems in unborn babies, and cancer. Yes, I know almost everything these days is said to cause, or at least possibly trigger, cancer. So let's approach this from a fat-loss perspective. BPA and BPS are both endocrine disruptors. In plain English, this means that they mimic the hormone estrogen. And high estrogen levels in your body cause your body to gain fat, and hold on to fat. So if you want to get rid of fat from your body, avoid any and all skin care, cosmetics and foods that contain estrogenic substances. Avoid them like the plague! Boxed coconut milk products often contain inflammatory ingredients such as carageenan. Another possible cancer trigger, as well. Processed foods also may increase inflammation. Inflammation is an enemy of fat loss. Yes, even most protein powders have serious pitfalls. Many (most?) contain denatured proteins, whey from feed lot cows fed with genetically modified grains, unhealthy soy-based ingredients, etc. For protein, I recommend you eat a serving of organic grass-fed meat or pastured eggs on the side with your smoothies. Processed food ingredients can cause inflammation in many, and inflammation may slow or bring a halt to weight loss. Inflammation can also be caused by food allergies and intolerances, so it is extremely important to be aware of foods that disagree with you, and avoid them. Does it make you burp, make your skin itch, give you gas, acid indigestion, give you headaches, affect your toilet habits or correlate with any other "annoying" health problems? Listen to what your body is trying to tell you! Try cutting those foods out for a few weeks. Using other common sense weight control methods at the same time, you might be pleasantly surprised to find your weight may go down. Processed foods often have long lists of ingredients with names that sound nothing like the actual food from which they are derived. For instance, if you have a corn allergy, and don't see the word "corn" in the ingredient list, you should know that "dextrose" is often derived from corn. This is just one of many examples I could give. It makes it very confusing! Especially if you've been doing everything you can to lose weight, and staying at the same weight, or worse, gaining, you definitely should cut out the processed food ingredients! So how do I find more natural coconut milk? If you learn my easy way to make coconut milk, you can avoid these unnecessary additives, and save money while you're at it. Large amounts of these fruits may be ok for smoothies you serve to your kids, if they do not have weight issues (or if they need to gain weight). But for you, when you want to lose weight, you want to limit even the natural sugars when eating a higher fat meal. and all sugars, even the brown “natural” kinds. Coconut Milk Smoothie for Weight Loss Bonus Tip: The coconut oil in coconut milk helps to increase your metabolism. If you want to boost your coconut milk smoothie for weight loss even further, gradually add a little extra coconut oil to your smoothies, a little more each day, till you are having 1 to 3 tablespoons per day. Please start slowly, though, with about a quarter of a teaspoon, to allow your body time to adjust to this potent food. Adding too much too soon can cause a die-off reaction. What is a die-off reaction? Also called a Herxheimer reaction or healing crisis, this is something that can happen when you eat anything that is anti-viral, anti-fungal, or anti-bacterial, which may kill pathogens in your gut. It is not fun! So definitely start slowly with coconut oil! Note: if you are working out, and building muscle while you are trying to lose weight, this will help speed up your metabolism. With this method of making a coconut milk smoothie for weight loss, you may see inch loss and fat loss on your body before you see the number on your scale go down. This is normal. 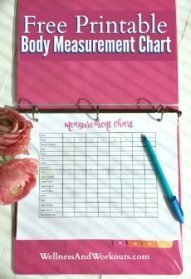 Take your measurements each week, and rejoice as you slim down, even if the number on the scale stays put for a while. Want to try an easy coconut milk smoothie for weight loss recipe? Click "Next" now!